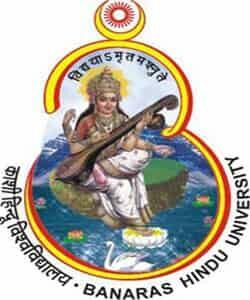 Banaras Hindu University commonly referred to as BHU; formerly known as Central Hindu College is a public central university located in Varanasi, Uttar Pradesh. Established in 1916 by Pandit Madan Mohan Malaviya, BHU is the largest residential universities in Asia, with over 35,000 students. The university comprises all castes, creeds, religions and genders, and is on the list of Institutes of National Importance. In 2017, NIRF ranked BHU as the 3rd best university in India and 10th overall in the institutional ranking. · For Staff Nurse: B.Sc. (Hons.) in (Nursing) from an approved University or Regular course in B.Sc. Nursing from an acknowledged University and Registered Nurse or Nurse and Midwife with State Nursing Council with required experience. · For Junior Clerk: Second Class Graduate with a minimum six months of training on the use of Computer for Book keeping, Office Automation, and word processing from an approved Institution or Second Class Graduate with Diploma in Computer sanctioned by AICTE. The Educational Qualification is different for each respective post. The Educational qualification for each post is mentioned briefly in the BHU recruitment advertisement which we have attached below in PDF Format at the end of this post. Refer to that advertisement to check educational qualification for each respective post. To know the age limit for individual posts of Banaras Hindu University Recruitment, check the official notification of BHU on this page. The selection of candidates will be done on the basis of skill test/ written test, interview. Candidates need to pay Rs. 500/- for General and OBC candidates. For details, candidates should refer official notification.